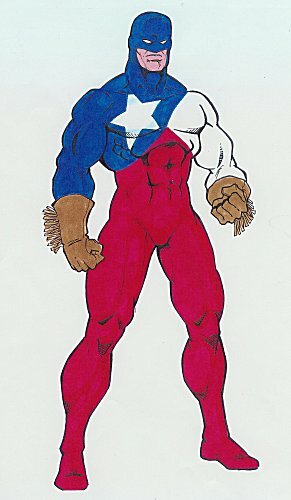 Powers/Abilities: Jonathan has no powers (all government superhero group leaders are normal) but has a suit designed by Gonzales Industries that grants him the ability to form an energy field that he can manipulate in many ways, from creating an energy barrier to concussive blasts that can be fired from the gauntlets. He can also fly. Comments: Created by Richard Dominguez. Copyright to him and Azteca Productions. Written by Michael Moore and with art by Randy Saffle. Thanks to Richard Dominguez for providing biographical info and images of this character.